Railpictures.ca - Marc Dease Photo: CN 5409 with GECX 7325 and CN 3047 shove train 394 back into the yard at Sarnia. | Railpictures.ca – Canadian Railway Photography – photographie ferroviaire Canadienne. 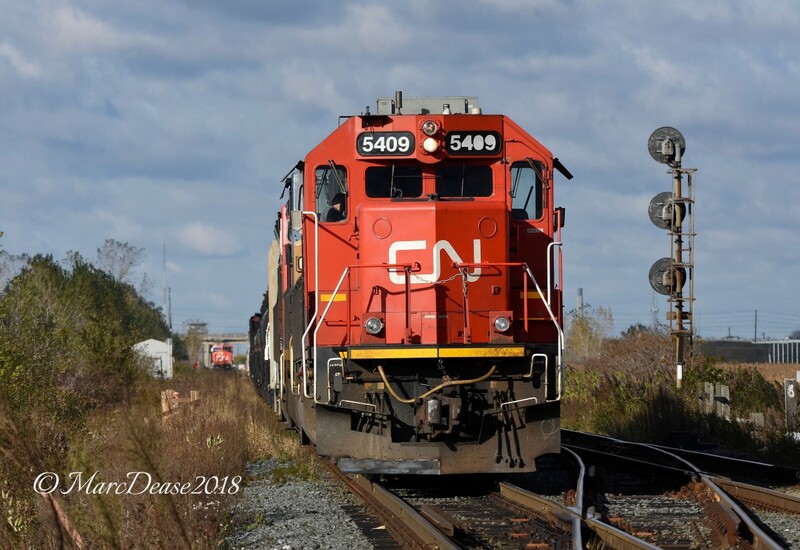 Caption: CN 5409 with GECX 7325 and CN 3047 shove train 394 back into the yard at Sarnia.